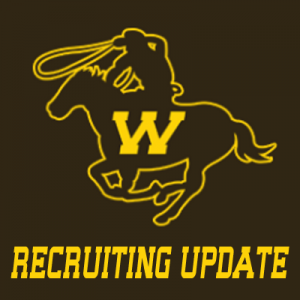 The commitment train continues to roll on for the Wyoming Cowboys as they pick up yet another lineman in 6’7″, 270-pound offensive tackle Alonzo Velazquez out of Janesville (WI) Parker. The Wisconsin native was offered by the Cowboys back in April and had also been offered by Western Illinois. His lead recruiter was offensive coordinator Brent Vigen. Velazquez visited Laramie for the Boise State game this past weekend (30-28 victory) and soon after realized he wanted to be a part of head coach Craig Bohl’s program. “My decision was motivated by my visit that I had made this past weekend. The visit went so well. I was very impressed with all the facilities and especially all the coaches and players. They made me feel comfortable and like I was family. I felt respected and also felt that they really cared about football and especially academics. Made me feel like this is the place to be. I just really fell in love with the place (Laramie and the campus).” said Velazquez. He is not rated by Rivals, Scout or 247 Sports as of this time.